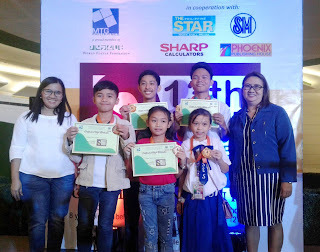 Big winners of 13th PH Sudoku Super Challenge Regional Elimination in Baliwag are Rhaiyanna Raymundo of Akle Elementary School- Under 8; Graciela Steff Gabriel of Sabang Elementary School- Under 10; Rayner Gabriel Alcantara of Salambao Elementary School- Under 12; Mark Allen Mendoza of Sacred Heart Academy- Under 18; John Joseph Gabata of Ateneo de Manila University-Sudoku Grandmaster. Joining honors are Board of Director- MTG Philippines Ms. Angeline Orosco (right) and MTG Bulacan Center Coordinator Ms. Rosalinda Rodriguez (left). 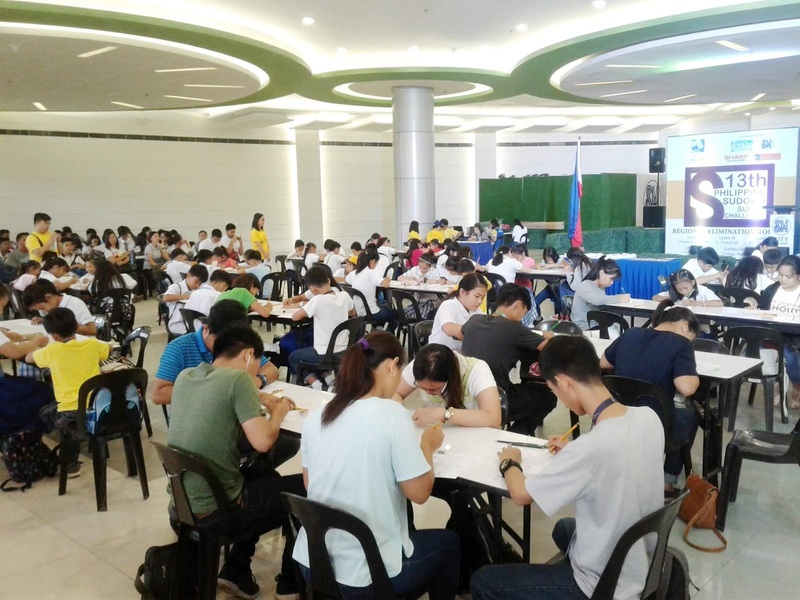 BALIWAG, Bulacan- Bulakeños once again prove their skills in critical thinking and problem solving at the 13th Philippine Sudoku Super Challenge (PSSC) Regional Elimination held recently at SM City Baliwag. Spearheaded by Mathematics Trainers’ Guild, Philippines (MTG) with SM supermalls as one its partners, the competition aims to promote the number of puzzle among youth for developing their reasoning ability. Furthermore, to enhance the mental and critical skills of the students so that they can solve life’s problems effectively and offer an alternative to spending enjoyable, educational and productive past time. Wizards Activated. 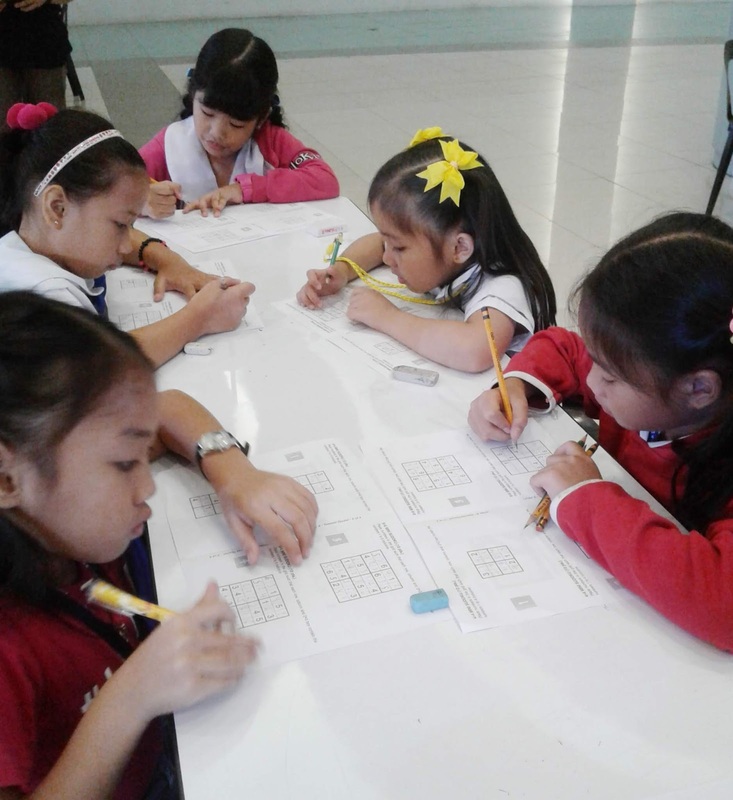 Students Under 8 category demonstrates concentration in solving tricky puzzles at the 13th PH Sudoku Super Challenge Regional Elimination in SM City Baliwag. Sudoku is becoming popular among young age groups, a phase where a child develops brainpower and basic math skills, which contributes to the development their patience, attention span and time management. With total of 168 participants from Bulacan, the competition was divided into five (5) categories according to age group—Under 8 for 8 years old and below, Under 10 for 9-10 years, Under 12 for 11-12 years old, Under 18 for 13-18 years old and Sudoku Grandmaster for college level and professionals. Overall, 34 schools and companies attended the competition. Hailed as grand winners per categories are Rhaiyanna Raymundo of Akle Elementary School- Under 8; Graciela Steff Gabriel of Sabang Elementary School- Under 10; Rayner Gabriel Alcantara of Salambao Elementary School- Under 12; Mark Allen Mendoza of Sacred Heart Academy- Under 18; John Joseph Gabata of Ateneo de Manila University- Sudoku Grandmaster. The five will compete for the National Finals on November 24, 2018 at Skydome, SM City North Edsa, while the Asia Sudoku Championship, International competition will be held on January 25-26, 2019 at SM City Clark. Future Sudoku Masters. 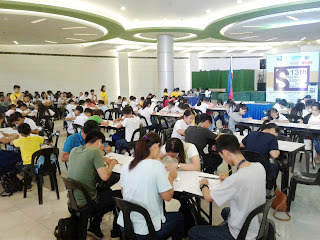 One hundred sixty-eight (168) participants from different schools and companies battle for the title--Sudoku Super Challenge Champion during the Regional Elimination held at SM City Baliwag. For more than a decade, the Philippine Sudoku Super Challenge has been going to SM Malls across the country to seek students who have love and passion in performing/answering Sudoku puzzles.